Glacier National Park is smack-dab in the center of the breathtaking Crown of the Continent Ecosystem, which spans 10 million acres on either side of the U.S.-Canada border. Alpine meadows, grizzly bears, mountain goats, wildflowers and vast tracts of wilderness helped draw 2.9 million visitors to the park last year. But Glacier National Park’s namesake glaciers are also a big part of why we travel there in such large numbers. Sadly, we soon may not be able to view those glaciers. A comparison study released by the U.S. Geological Survey (USGS) in September 2017 found that warming temperatures have rapidly reduced the size of 39 named glaciers in Montana since 1966. While the average loss was 39 percent, some glaciers have lost as much as 85 percent of their expanse over the past 50 years. All of the glaciers in Glacier National Park are likely to disappear within the next 15 years. And by losing its glaciers, the park stands to lose much more than ice. We’re now in an era of global warming when human greenhouse gas emissions are causing the world to warm at a rate unseen in thousands of years. It’s a period that hasn’t been particularly hospitable to the ice in Glacier National Park—and ice around the world. 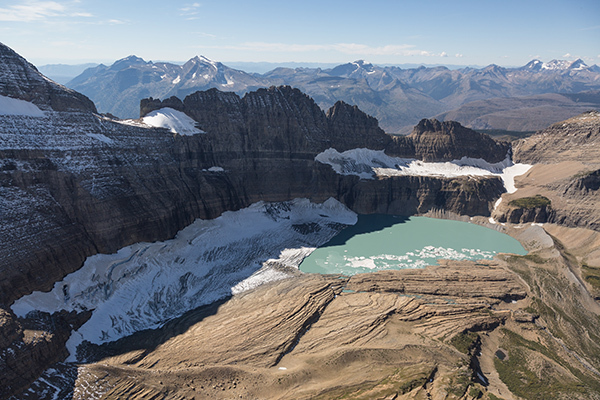 Comparing digital maps from aerial photographs and satellites to historic data from 1966, 1998, 2005 and 2015–2016, the researchers in the USGS recent study looked at 39 glaciers, 37 of which are found in Glacier National Park and two located on U.S. Forest Service land. From the get-go, however, the study called into question whether all of the 37 formations in Glacier National Park were even technically still “glaciers.” Only 26 of 150 glaciers that existed in the park in the early 20th century were found to be larger than 25 acres, the common benchmark for determining whether a mass of ice should be so classified. Montana is warming nearly twice as quickly as the global average. Temperatures in the park have risen about 1.5 degrees Fahrenheit since climate monitoring began in 1895. That rate of warming has spiked since 1980, with the park warming about 0.8 degrees Fahrenheit per decade since then. 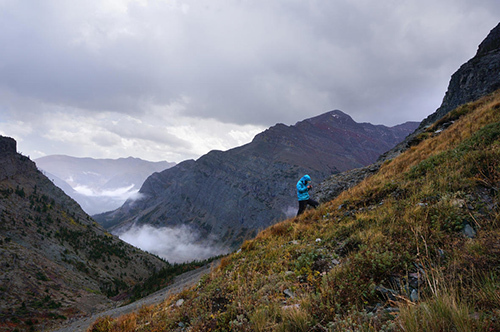 While the amount of precipitation in Montana hasn’t changed, warmer winters bring more glacier-eroding rain, rather than glacier-forming snow. Even when there is plenty of snow, as Montana experienced this winter, the increasing heat of spring and summer is melting it away more quickly. Spring snowmelts are now occurring at least two to three weeks earlier than they were in the 1960s. 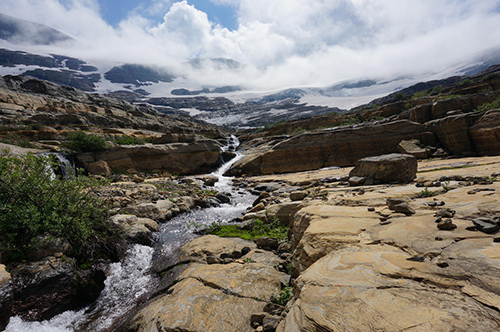 We’re at the point that even if humans were to stop emitting carbon dioxide immediately, there’s enough warming that we’re already introduced into the atmosphere to bring Glacier National Park’s era of ice to an end. Projections indicate the remaining glaciers in the park are likely to be gone by 2030. Unfortunately, the disappearance of glaciers in Montana is just part of a broader loss, one where all glaciers will largely vanish from the Lower 48 by the midpoint of the century. According to NASA, the world’s glaciers have shed about 400 billion tons of ice per year since 1994, a decline that has consequences for wildlife, has contributed to rapid sea-level rise and has increased wildfire risk. For example, in the Northern Rockies, the earlier melt of the snowpack has helped cause fire frequency and severity to go up: today there are 76 extra days in the fire season. In 2003, the most severe fire season on record in Glacier National Park occurred when 13 percent of the park’s one million acres burned. Across the Northern Rockies, large wildfires are 10 times more common now than they were in 1970, and they burn 45 times more acreage than they used to. Glacier’s trees are also under threat of bark beetle infestation. Without extreme winter cold to keep them in check, the beetles have invaded trees in high-elevation forests. Whitebark pine, a tree found in Glacier and across the West’s alpine environments, has no natural defenses against bark beetles because it has never had to defend against them. 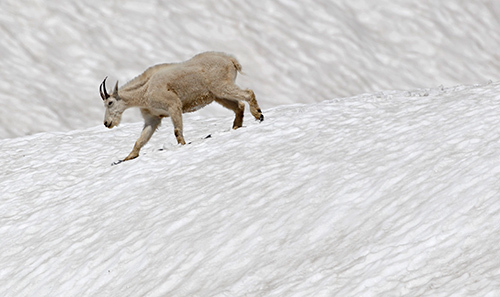 In addition, climate change is cranking up the heat in streams and on the species that rely on cold water that the glaciers—until now—typically provide in late summer. One of those species is the western glacier stonefly, which is sometimes called the “poster bug of global warming.” The stonefly is only found in Glacier National Park; and without the cold flow of water from glaciers each summer, the insect could go extinct. Rising temperatures are threatening bull trout, a favorite of anglers, too. The park is actively relocating some of the fish to cooler, higher-elevation streams in the hopes of helping the native species survive. It’s one of the first assisted migration projects on National Park Service lands, but it almost certainly won’t be the last in Glacier or across the entire system of parks. Even without ice, of course, Glacier National Park will still be a wild, rare and spectacular place. But something will have gone out of those special mountains: the last remnants of their maker. As one who has visited Glacier at least a dozen times since the 1950s, I lament the effects of climate change on the park as much as anyone. 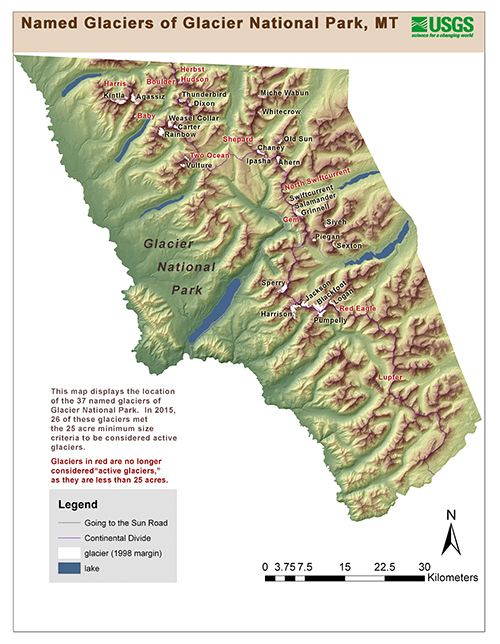 I also know, though, that the park was established and named not for its glaciers but for its post-glacial landscape – the U-shaped valleys, tarns, moraines, and other features of glaciation. Glaciers were known to be shrinking even at the time of my first visit in 1954. I sure will miss them, the “Salamander” and others. But the impact of their demise will be much less than that of many of the other ecological changes so well discussed here. I suppose focusing on the few and small glaciers does help draw attention, though. And our President chooses to focus on NFL players, meanwhile continuing to deny that climate changes exists, along with his equally blind EPA director, Scott Pruitt.